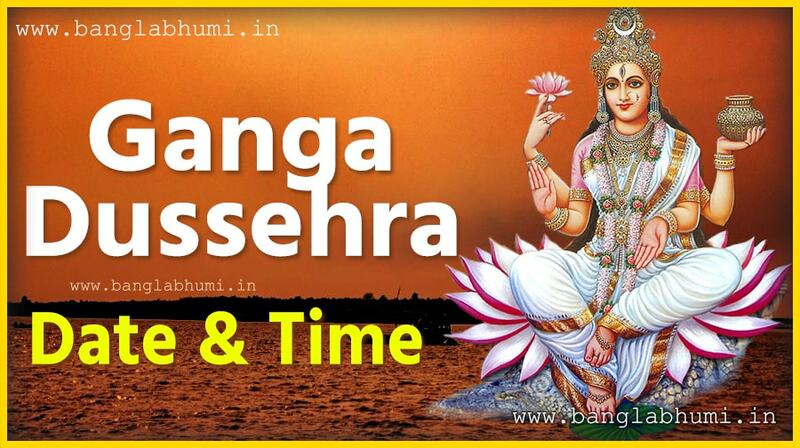 2019 Ganga Dussehra Puja Date & Time in India, 2019 Hindu Festivals Date & Time, 2019 Ganga Dussehra Puja Date in Indian Hindu Calendar, 2019 Hindu Puja Date & Time, 2019 Hindu Calendar. Ganga Dussehra Puja is a famous Hindu festival. Ganga Dussehra is observed by Hindus mainly in the states of Uttar Pradesh, Uttarakhand, Bihar, and West Bengal. Ganga Dussehra is also known as Gangavataran. This festival falls on Dashami Tithi or the tenth day of the bright half of the moon in the month of Jyaistha in Hindu calendar. On this festival the millions of people bathing in Ganga and worship the Ganga.